With the words: “Perfect ammunition” Per made the selection for the upcoming season with the highlight in Munich – the ISSF World Shooting Championships. 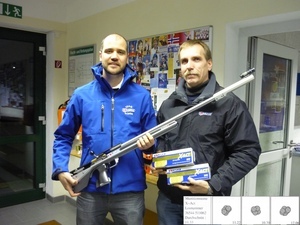 Together with Lapua’s range officer Andreas Schnitzeler, Per tested and selected the new X-Act ammunition for his both sport rifles. He will be best prepared for the next challenges.